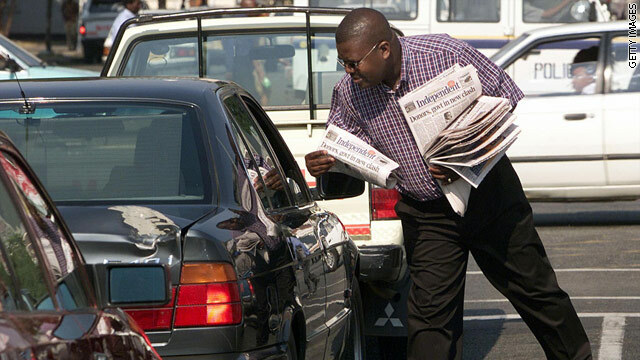 Zimbabwe government allows first privately-owned newspaper in six years. Four newspaper licenses were issued by power-sharing government. Zimbabwe Media Commission established to carry out media reforms. The four newspapers will start publishing next month. (CNN) -- Free speech activists in Zimbabwe are celebrating a breakthrough for press freedom with the unity government's decision to award licenses to four new daily newspapers. The papers granted licenses include the previously banned "Daily News," which was shut down by Robert Mugabe's government in 2002. The papers will be the first privately owned newspapers to go on sale in six years. Trevor Ncube, who is one of southern Africa's most powerful publishers, told CNN that approval of the newspaper license was wonderful news and was an opportunity for Zimbabweans to celebrate. "This is very exciting and it's a huge time for Zimbabweans and it's an opportunity for change," Ncube told Becky Anderson on Connect the World. "We're clearly in a period of transition and this newspaper will play a role to empower Zimbabweans." Ncube already owns and runs two weekly newspapers in the country including the "Independent" and "Standard." The announcement is in stark contrast to the Mugabe government's previous policy of allowing only government-controlled daily newspapers in the country. "The situation we've had up to now is that the radio belongs to the government, television belongs to the government, so it's an environment where government opinions and views are on top of everything else," Ncube said. "The free market of the media represents the free map of the people and the ability to express themselves." Earlier in the year the Zimbabwe Media Commission was established to help carry out a series of reforms on the media in the country. The four new newspapers are expected to start publishing next month.